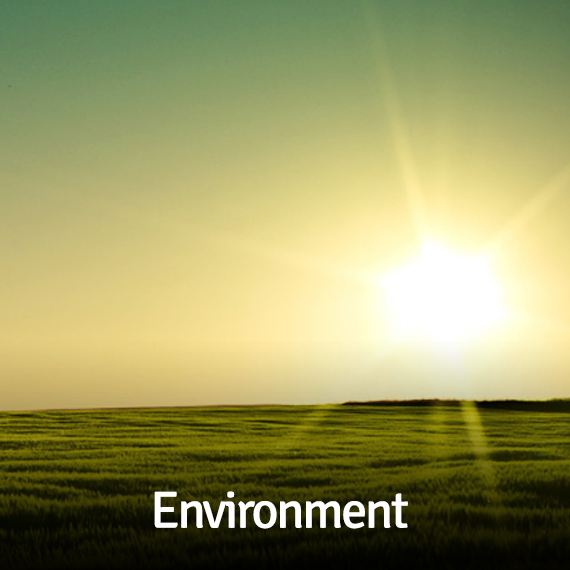 Environmental sustainability is one of the fundamental components of a prosperous society. The Corporate Responsibility function at Jazz strives to inculcate the concern for the planet and natural resources amongst its internal and external stakeholders. 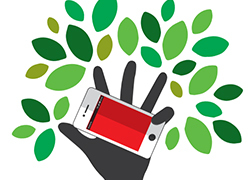 Eco-friendly practices have been introduced to all segments of business and demand sustainable consumption of bio-degradable as well as non-degradable resources. Jazz Foundation has also adopted an Environmental Management System (EMS) at the work place which ensures judicious consumption of electricity, water and fuel. Jazz’s Environmental Management System was been devised in consultation with World Wild Fund for Nature (WWF) and is based on the set of processes and practices that enables Jazz to reduce its environmental impacts and increase its operating efficiency. This initiative was launched to instill the awareness of the Green Office campaign among the Jazz employees. It was an MCQs based quiz that tested the knowledge about our heritage, the planet and its ecological wealth. 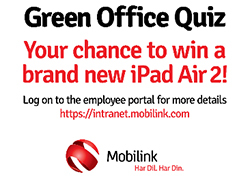 The campaign received an astounding response and the quiz winner- having the most number of correct answers- was awarded with an Apple IPad 2. 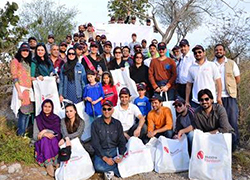 The Jazz Foundation kicked off this year’s Corporate Responsibility activities by conducting the “Walk to Preserve” at Trail-3, Margalla Hills. 61 energetic volunteers took part in the clean-up activity as they worked towards preserving the mountain eco-system by picking up the trash as they moved up the hill. To help preserve the mountain eco-system, the Jazz Foundation conducted a cleaning activity on Margalla Hills, Trail 3 on January 31st 2014. A total of 37 Jazz torchbearers cleaned the trek during the preservation walk up the hill. 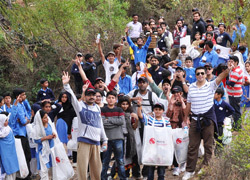 2nd of the Jazz Foundation’s cleaning activity on Margalla Hills was conducted on Pakistan day 23rd March 2014. Around 300 volunteers including 50 students of PKSS school cleaned the trek during the preservation walk up the hill. Jazz Foundation commemorated World Earth Day, in collaboration with Textile Institute of Pakistan with the aim to promote recycling of non-biodegradable materials. Torchbearers South-I supported the cause by participating in unique and innovative activities, designed around the recycling process. 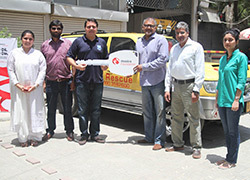 Jazz donated a purpose fitted Rescue Vehicle to Pakistan Life Savers Association (PALS). The vehicle will be used for transportation of lifeguards along the beach as well as transfer of drowning victims to hospitals. The vehicle has been fitted with a two-way radio which allows the lifeguards to remain in contact with the control center. Jazz Foundation organized a tree plantation drive on the World Earth Day. 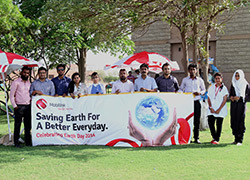 The event was held on April 22 and marks worldwide support for environmental protection and is celebrated in more than 192 countries each year. Jazz volunteers planted sapling along the Canal Road, Lahore. The activity was carried out with the support from Defense Housing Authority. Eco-preservation walks are a regular calendar feature at Jazz and are held to preserve the Margalla National Park in the vicinity of Islamabad. These activities involve cleaning up of mountain trails by employees and families. ‘Walk to Preserve’ also gives employees a chance to remain healthy and physically fit. Over 200 bags of waste and refuse were collected and removed during the 3 cleaning drives held in 2013. The preservation walks frequently invite students of under privileged schools and educational institutions who are invited to encourage inclusion amongst the disenfranchised social groups. Jazz Foundation partnered with the Pakistan Life Saving Foundation (PALS) to carry out a beach cleaning activity at the Sea View beach in Karachi. Sea View is one of Karachi’s most frequented beaches, with thousands of visitors every day, which also results in littering along the scenic coastline. Jazz Foundation Torchbearers and PALS volunteers conducted the beach cleaning activity, which lasted for over four (4) hours, and collected over 200 kg of garbage. The activity was part of Jazz Foundation’s continuing drive to preserve Pakistan’s eco-system and bio-diversity. All waste material collected from these activities is recycled or disposed of in conformity with environment friendly measures. Jazz Foundation has subscribed to Green Office Initiative, which is a pragmatic and consummate environmental program designed to promote the implementation of the Environmental Management Systems (EMS) in offices, leading to enhanced savings and reduction in organizational carbon foot print. As part of the program, Jazz continues to reduce the consumption of water and electricity as well as ensuring reduction of solid waste produced as a result of its daily work practices. Jazz Torchbearers are nominated as “Green Wardens,” who advocate the Recycle-Reuse-Reduce (RRR) Scheme to increase awareness among other employees. Environmental friendly practices are being replicated in Jazz offices across the country in line with World Wild Fund set Green Office guidelines. Jazz Foundation pioneered the “Adopt a Plant” campaign in line with its Environmental Initiatives to promote a greener working environment. Under the campaign, the Jazz head office employees adopted over 600 plants. The campaign, the first of its kind, serves to promote compassion and incites a sense of shared ownership for biodiversity and natural resources. Jazz became the first corporate organization in Pakistan to implement a recycling program, which uses outdated billboard skins to manufacture school bags for underprivileged children in the rural areas of Pakistan. Till date the Jazz Foundation has distributed 40,000 bags made from these recycled materials. Jazz Foundation subscribed to the Green Office Initiative, which is a pragmatic and consummate environmental program designed to promote the implementation of the Environmental Management Systems (EMS) in offices, leading to enhanced savings and reduced burden on the natural environment.